The makers of the Cybershoes says one of the limits we face while entering the Virtual Reality world is the movement. They wanted to make this experience feel as real as possible and so they created Cybershoes. 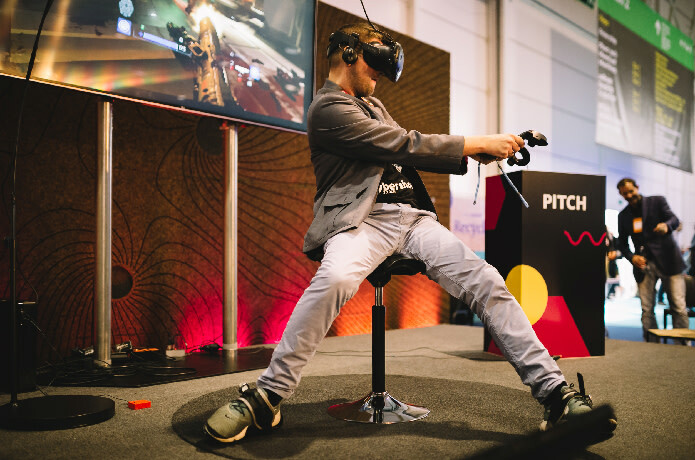 The foot-worn VR locomotion accessory has already smashed its minimum crowdfunding target of $30,000 within 48 hours of going live. The creators of the Cybershoes says the strap-on shoe covering which features a barrel wheel underneath, that when spun, translates to forward and backwards VR movement helps eliminate some of the discomforts with artificial VR locomotion by tying your in-game movement to physical action. 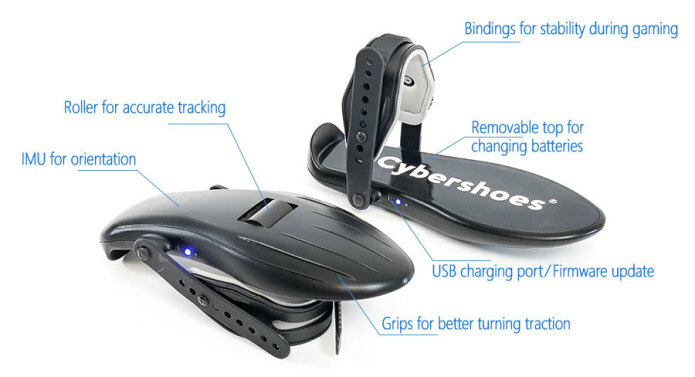 A backer gets a pair of Cybershoes, swivel chair (black or red), wireless dongle, a round carpet, USB charger and cables for an early bird 51% off perk price of $269. As per the latest statistics, the campaign has been 177%, i.e $53,230 with 16 days still remaining. Cybershoes supports Oculus Rift, Pimax VR headsets, HTC Vive and Microsoft VR headsets via the SteamVR platform. The creators of the Cybershoes claims that all VR games supporting free locomotion will work with the device.